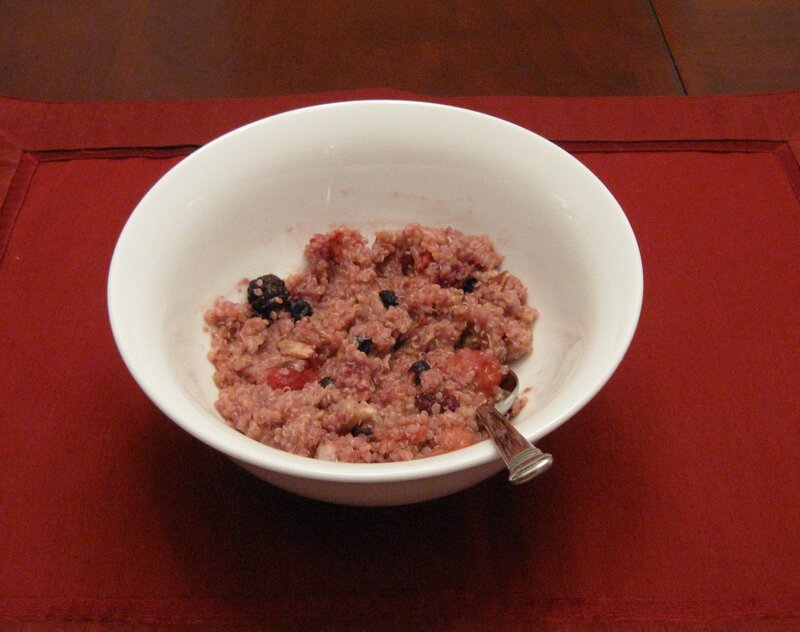 My favorite breakfast is oatmeal cooked on the stove, but with a very busy week ahead, I wanted to try a healthy recipe that I could prepare in advance. This turned out wonderfully, and is another way to use quinoa. The original recipe suggested fresh blackberries and toasted pecans, but I used mixed berries from the freezer and almonds which I had on hand. Combine milk, water and quinoa in a medium saucepan. Bring to a boil over high heat. Reduce heat to medium-low; cover and simmer 15 minutes or until most of the liquid is absorbed. Turn off heat; let stand covered 5 minutes. 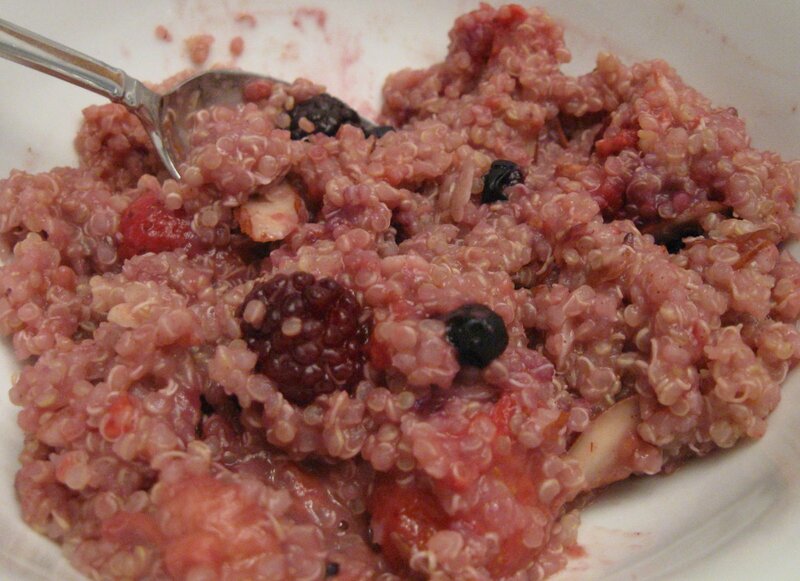 Stir in berries, cinnamon, and almonds. So glad you liked it, Kerry.I just demo’d the Warm and Nutty Cinnamon Quinoa as part of a keynote speech in front of 350 people in Chicago. In my PowerPoint, I featured the 9 variations I’ve found of it online. Yours makes 10!Enjoy!Warmly,JLn.b. http://www.ChefMD.com sends a free, healthy, easy, quick recipes every week to anyone who wants one.